Roller Coaster Challenge is an incredible (and difficult) logic building game that comes with 40 challenges to solve. The challenges increase in levels of difficulty as the game progresses. The goal is to figure out how to build a roller coaster after setting up the game as shown on each challenge card. Roller Coaster Challenge promotes visual perception, spatial reasoning, attention, and introduces basic engineering principles. I love the original one player Kanoodle game and am super excited that it also comes in a two player version. The goal of the game is to arrange the different shaped noodles inside the game board so that they all fit before your opponent (not as easy as it sounds). Kanoodle promotes visual perception, spatial reasoning, quick reaction time, problem-solving, and attention. 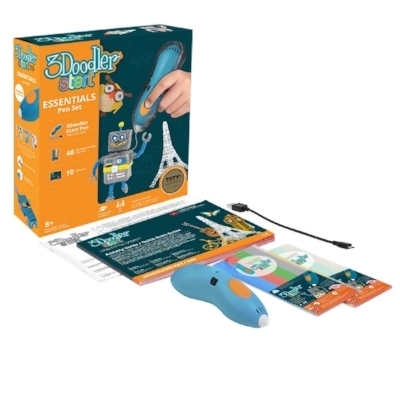 3Doodler is a printing pen that lets kids (and adults) create 3D art projects. You can follow the templates provided or create your own designs by drawing in the air. 3Doodler comes in a bunch of variety packs with different art ideas. It’s great for promoting sustained attention, eye-hand coordination, visual spatial abilities, and of course inspiring creativity. If you’re looking for a unique and innovative gift, give this a try. Lift It! is a creative board game that the whole family can play together. Players use the crane on their heads (that’s right) to build different structures before their opponents. The game can be played in teams, together or alone. Lift It! encourages interactive play, coordination, concentration, and visual spatial abilities. 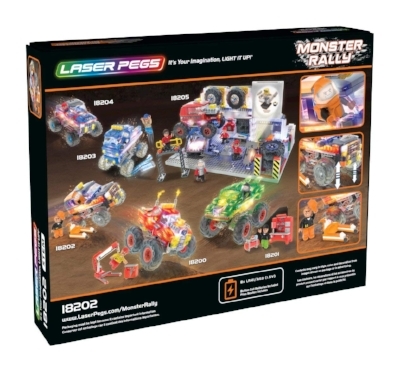 Laser pegs is an innovative new construction toy that comes with light up bricks. Build different designs and objects while using abstract reasoning and visual spatial abilities, developing imagination, and refining coordination. Learn to create 15 different projects by just using your fingers. 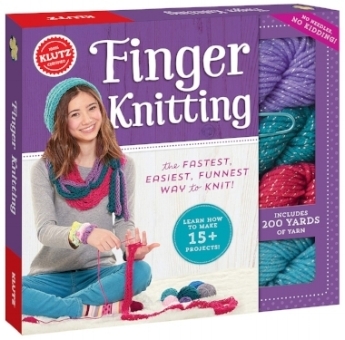 Finger Knitting includes yarn and a 56 page instructional manual. 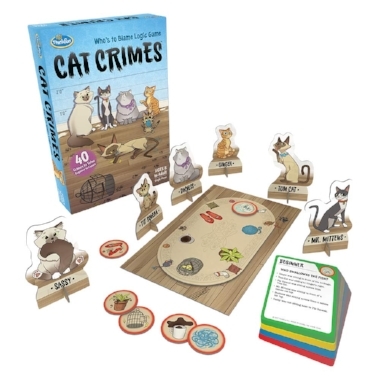 Cat Crimes is a fun logic game that requires deductive reasoning to solve. Read the clues on each challenge card to determine which cat committed the crime. If your kids love animals, they might enjoy playing this Animal Trivia board game. Test your knowledge of animals and learn cool new facts while playing together.